Within the first few minutes of playing a given map in the newest installment of Sony’s Twisted Metal series you can easily cause more environmental destruction than you did in all of the previous titles combined. I’m not even kidding here. 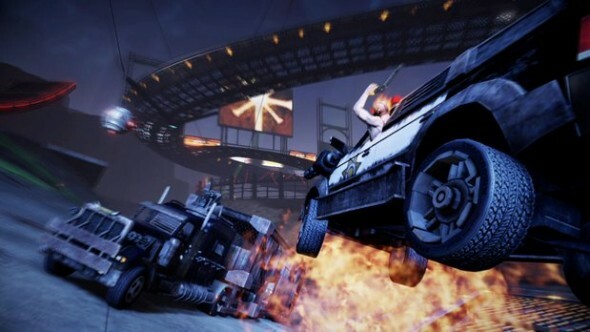 In developing the latest entry of the longest-running PlayStation-exclusive franchise, David Jaffe and the folks at Eat, Sleep, Play have a pretty tall order with Twisted Metal. 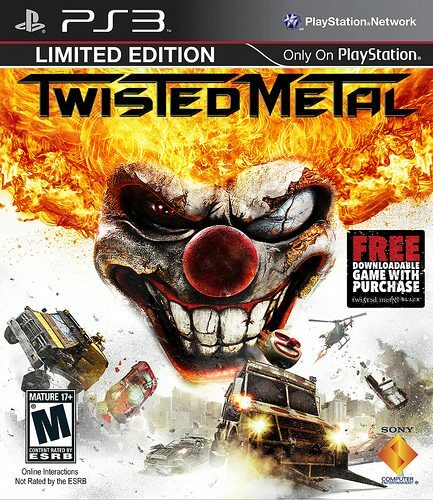 The series has been missing a dedicated console title since 2001’s Twisted Metal: Black, widely regarded as one of the best games on the PlayStation 2. Before that title’s online multiplayer disc was released, deathmatches were confined to one television set and three friends at most. 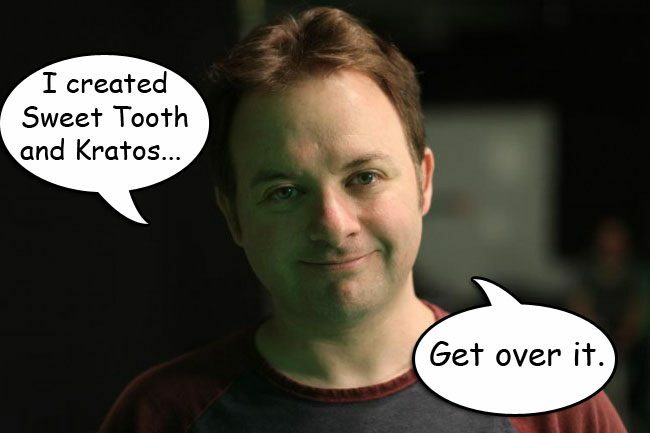 Things have definitely changed since the last time Sweet Tooth graced your Sony console. But, have the demented clown and his twisted cohorts done enough to keep up with the times? One of the most noticeable differences between this Twisted Metal and those that came before it is a drastically smaller character roster. 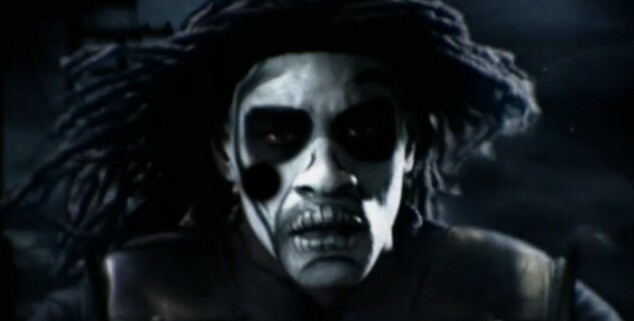 You can play as Sweet Tooth, Dollface, Mr. Grimm or the Preacher. But that doesn’t mean there are only four playable vehicles. Whereas each car or motorcycle was character-specific before, you can now pilot each vehicle with the character of your choice. All of the old favorites make a return in some form or another. Junkyard Dog’s tow truck is back as is Outlaw’s squad SUV. 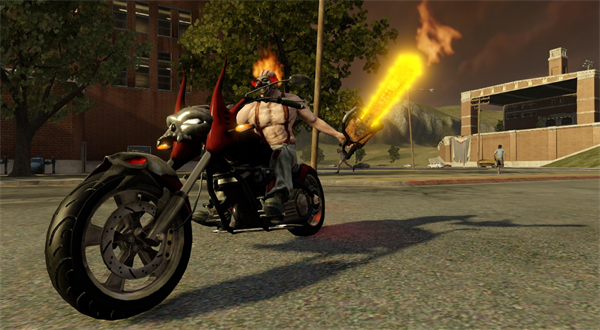 Mr. Grimm’s chopper, Reaper, is also among the first vehicles you’ll unlock. For the most part, Eat, Sleep, Play has retained the most interesting characters from the franchise and done away with the rest. Series purists may cry foul, but can anyone really say they’ll miss seeing Junkyard Dog’s ugly mug? Although my Twisted Metal arch-nemesis, Axel, is no longer on the roster, his two-wheeled contraption still roams free. One welcome change is the level of customization you have over each individual vehicle. Instead of everyone carrying the usual machine gun, you can unlock different sidearms as you progress through the game, from quick-but-weak Uzis to an incredibly powerful missile launcher or magnum pistol. You outfit your car or cycle with the sidearm of your choice at the character select screen. 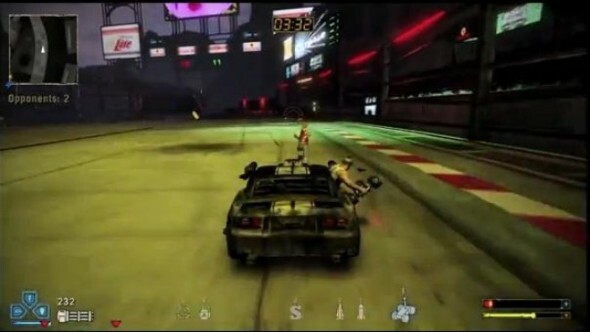 Certain multiplayer modes also allow you to choose three different vehicles for a single match. You start with a primary car while the other two wait in a garage. If your health falls below your liking or you just want to switch things up, all you need to do is drive to a garage and select a new ride. As your old vehicle sits in the facility it slowly regains health. This provides a bit of extra depth to the game, a welcome addition. The game features three different control schemes. You can either hit it old school with the standard layout from previous Twisted Metals or switch to schemes catered to extensive use of the shoulder buttons or joysticks. Both alternative control schemes have their strengths and weaknesses. The shoulder button layout provides comfort for marathon sessions and the joystick-centric scheme offers the best maneuverability for your vehicle while taking advantage of the new ability to aim above ground level. I played with the standard layout most often because it’s what I’m used to, but using the right stick to aim at the sky then waiting for the reticule to reset got me in trouble from time to time —you’ve gotta be quick if you want to win at Twisted Metal. Ultimately, I found this to be the most effective control scheme, especially since some of the series’ more exciting but technical features are simplified for this iteration. Remember how you had to press all sorts of button combinations to lay mines or freeze opponents in earlier Twisted Metal games? That’s been done away with in favor of a new weapon map on the D-Pad — one press in any direction takes care of all of those functions. It’s a good thing since this is probably the most frantic game in the series. 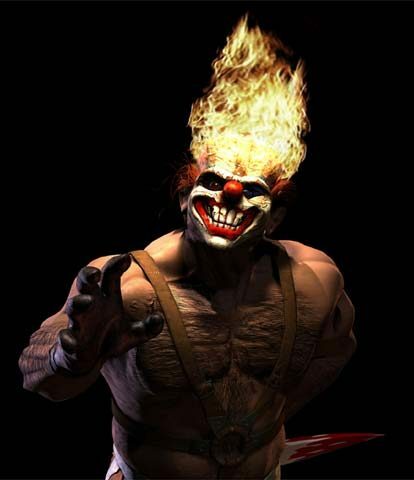 Twisted Metal has always been known for its destructible environments and chaotic deathmatches. This being the series’ first run on the PS3, it’s (of course) bigger and badder than ever. Weaving a path of destruction through Sunnyville, California, the first arena, is enough to render that last sentence the understatement of the year. It’s as if the folks at Eat, Sleep, Play and Santa Monica Studios wagered to see if they could cram as much content as was in either Twisted Metal 2 or 3 into the movie theater in the middle of the city. All of your favorite weapons, from homing and fire missiles to ricochet rockets, return. To add to the chaos, each vehicle also has two special attacks instead of the usual one. Sweet Tooth’s ice cream truck can turn into the Transformer-esque robot found in earlier installments or launch a lethal homing missile. Mr. Grimm’s scythe attack is replaced by a chainsaw, which you can drag on the ground to light on fire so as to inflict up to four times as much damage on impact. 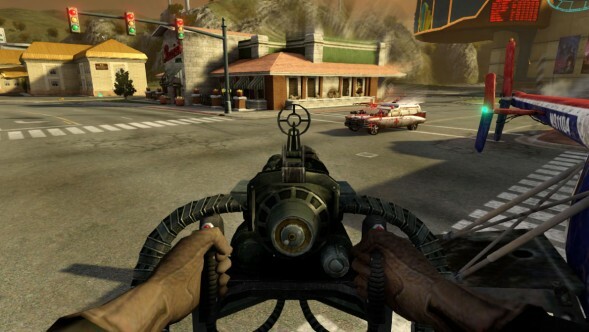 This version of the vehicular combat franchise also boasts an impressively diverse set of machine gun fodder. When Twisted Metal: Black came out, I was blown away by the number of vehicles going about their business in the Suburbs stage as chaos exploded around them. That game had maybe three or four vehicles at an intersection just waiting to be blasted away at a given moment. In Twisted Metal, it’s not uncommon to see four or five cars lined up at an intersection while another six or seven pedestrians wait to cross on the other side of the street. The stages this time around feel like living, breathing communities, which, sadistic as it sounds, makes the action all the more enjoyable when you’re plowing through them in an attempt to finish off the last of your foes. What’s best about the obstacles in the game is that they don’t detract from the gameplay as they did in Black. Whenever you slammed into a non-player vehicle in that game, your own car or motorcycle would be affected as if you had just t-boned an opponent. Not so in the PS3 game. Ramming a car that doesn’t belong to a competitor won’t make you veer off course, which, again, makes playing in heavily-populated areas all the more enjoyable. 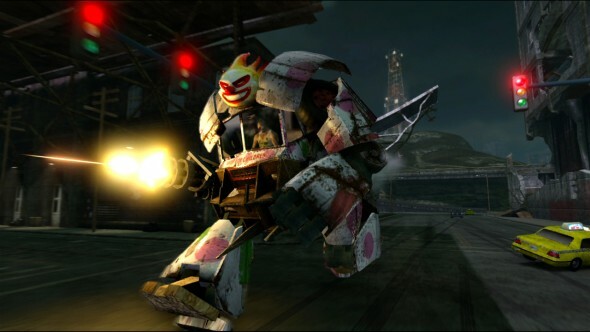 As with few other tenets of the Twisted Metal formula, the single-player campaign has been revamped for this entry in the series. 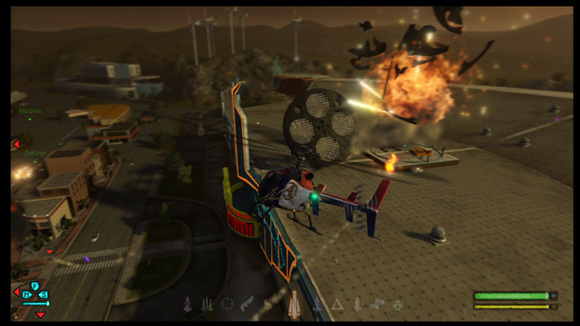 Whereas previous games allowed you to select one of between a dozen or so characters and play similar progressions through battlefields with unique cinema sequences in the beginning, middle and end, this title follows three series regulars in one overarching story. 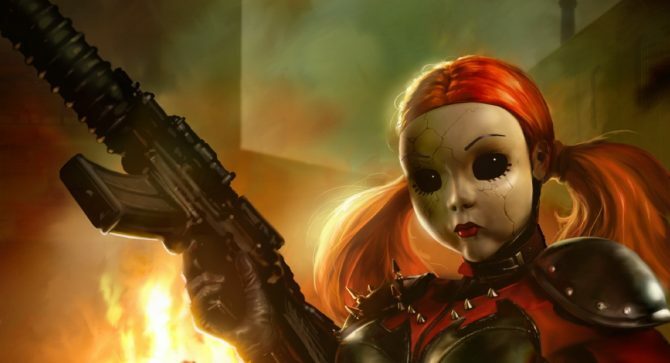 You’ll follow Sweet Tooth, Mr. Grimm and Dollface as they seek victory in the tournament. As always, their ultimate goal is to have Calypso grant a wish that will undoubtedly — but unexpectedly for them — go horribly awry. The production values in each movie scene are astounding. As you’d expect from Jaffe and the Twisted Metal series, each story is gruesome, campy and bloody to the max. I won’t spoil anything here, but if you thought Sweet Tooth was demented before, just wait until you see his story unravel. What was great about previous campaign modes was seeing each character’s individual tale unravel. 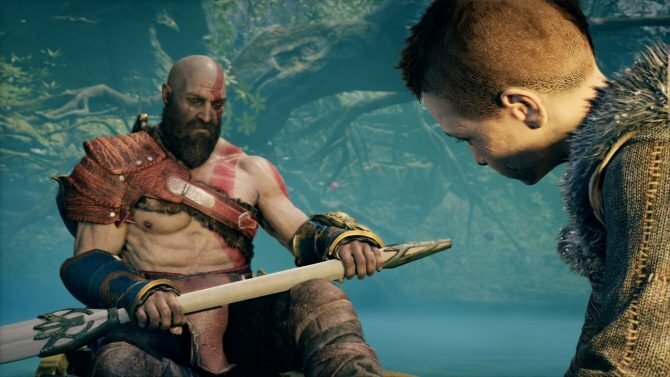 If you’ve played any other game in the series, this new campaign feels as though it falls short. Yes, some of the set-piece battles are outstanding, but there are plenty of grievances to be had with some of the objectives. Campaign sequences where you’re required to race fellow Twisted Metal contestants are a particular pain. The first few are fun, but when it comes time to nail certain checkpoints, I had to take frequent breaks in order to avoid doing terrible things to my PS3. The difficulty also spikes pretty early on. Prepare to restart plenty of missions. Even worse, you’ll be subject to Calypso’s introduction to the task at hand every time you do so. The real value in previous campaign modes was that they added replay value to games that were meant to be played with a friend either cooperatively or competitively. This time around, it’s not so necessary for there to be 12 or more character campaigns because of Twisted Metal’s online capabilities. You can still play the game split-screen with a friend as you did previous installments. But the most noticeable difference between Twisted Metal and its predecessors is the fact that online play is available from the get-go. The standard multiplayer modes return. You can either cooperatively play through a campaign with a friend or enter a deathmatch. This time around deathmatches can be played with up to 15 other opponents from around the world. Matchups worked pretty well, for the most part. The most aggravating experience I had was waiting for lobby moderators who refused to start matches unless all 16 participant slots were filled — the game only requires six players to start a match. The new Nuke mode is a particular joy. You play as a member of four different factions inspired by the characters who star in the campaign mode: Clowns, Dolls, Skulls and Holy Men. Your objective is to capture team leaders from the opposing faction and sacrifice them to a missile launcher by driving or sitting idle next to it for a set amount of time. Once the projectile launches, you guide it toward an effigy of the opposing team’s mascot. Every time you successfully make contact with the missile, your team earns a point. The team with the most points at the end of the contest wins. Consider it a demented version of Capture the Flag. As you complete online matches, you earn experience that can be applied toward the unlocking of vehicles, sidearms and other perks, even if you already did so during the campaign. This is actually a bit irksome. I spent a fair amount of time going through single-player missions in order to unlock vehicles for use in the multiplayer only to find out this isn’t the case. What’s the point of earning cars in single-player or co-op if they’re again locked during online play? This title also features the series’ first-ever airborne vehicle, which provides a neat distraction during the campaign and a fair bit of entertainment in the missions where it’s required, but it never makes a substantial enough impression to keep you engaged. It’s a bit sluggish in its movement and a pretty easy target for anyone on the ground. 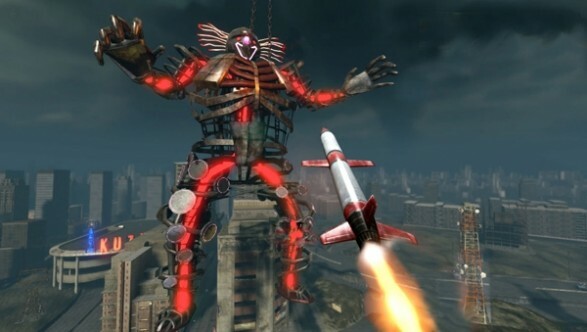 Still, if you’re having trouble during the Juggernaut challenges, I’d suggest starting those missions with the Talon — hunting certain enemies is easier from the sky. At the end of the day, this is the largest, most polished and — dare I say? 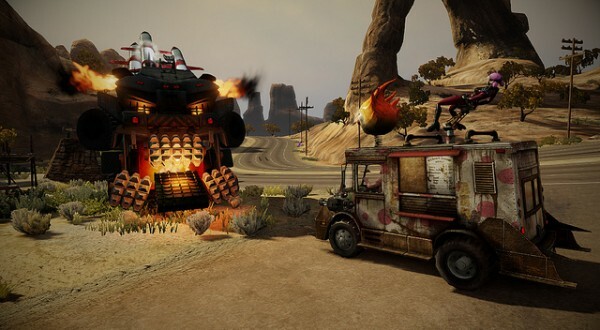 — most fun entry the Twisted Metal franchise has seen. My qualms are mostly minor. What really matters here is the satisfaction garnered from chasing that last remaining opponent in a deathmatch, mowing down citizens and vehicles alike and exhausting every missile in your inventory in a frenzy of fire until you’re announced the victor. The inclusion of online play easily justifies the shorter campaign. But the fact that you’re forced to re-unlock every vehicle and weapon again will always be a sore spot here. The campaign’s sharp difficulty is also a bit of a turn-off. I’m dreading my attempt at the single-player missions on Twisted difficulty. Still, you can’t beat the satisfaction of launching flaming chainsaws at your opponents from point-blank range. As the vehicular combat genre goes, this is easily the new standard, even if it doesn’t do too much to innovate.